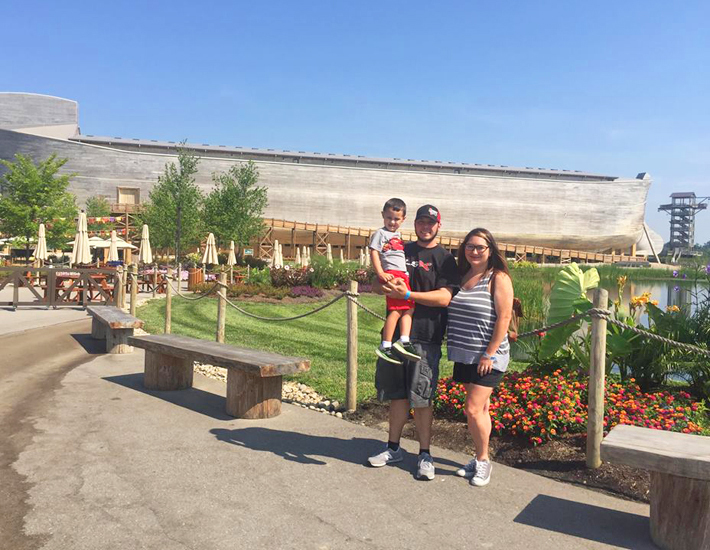 Recently our church blessed it's members with the opportunity to visit The Ark Encounter. 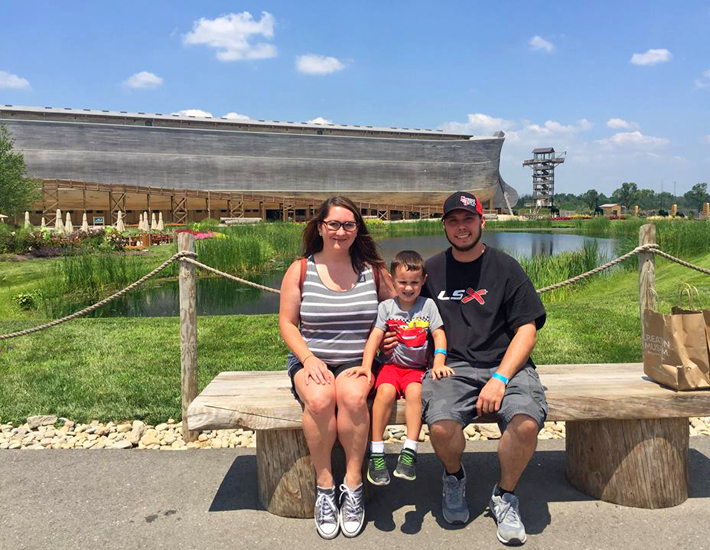 I have wanted to see the Ark ever since I first learned of it's opening in 2016. 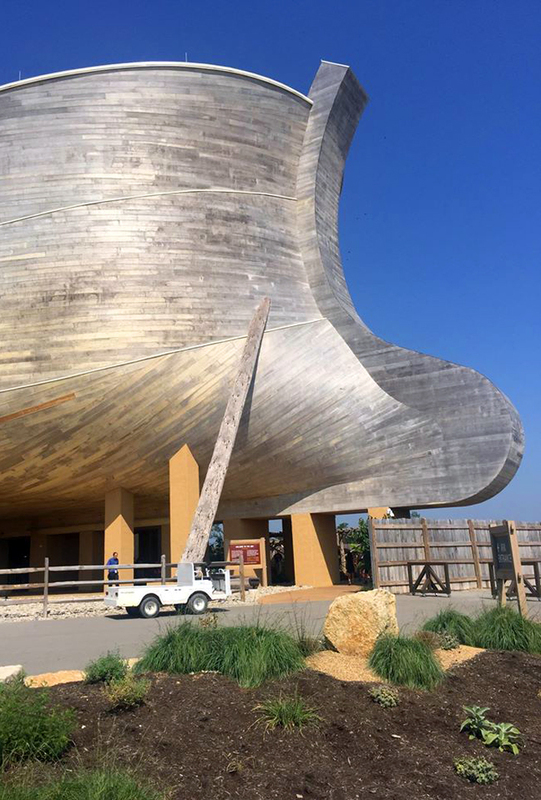 All of my life I had heard and read about the story of Noah and the Ark many times, but did not fully comprehend it until I saw The Ark. After seeing the Ark, it puts everything that I have ever learned about the ark into perspective and brings me to a whole new level of understanding. 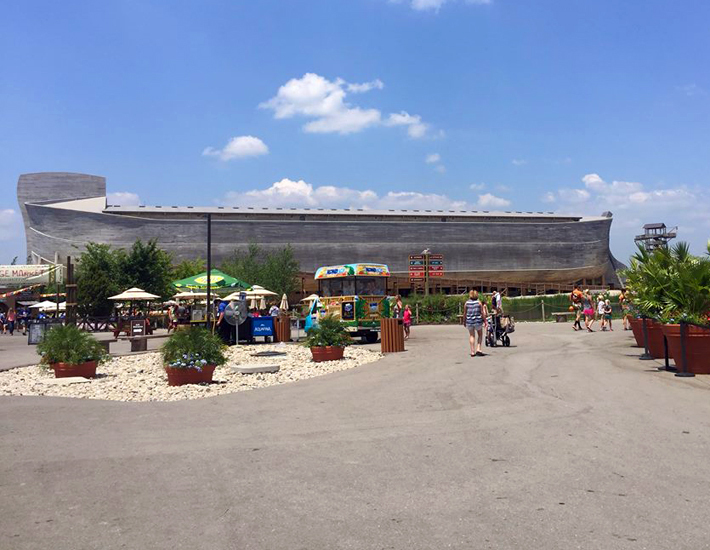 In order to get to the Ark, there is a shuttle bus that takes everyone from the parking lot to the Ark. It's not that far of a drive, but just enough to where you wouldn't want to walk it. 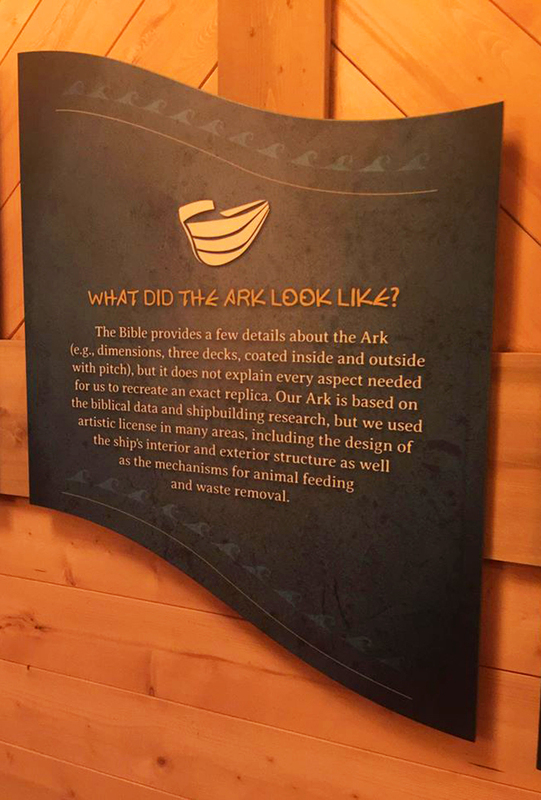 I had imagined what the Ark would look like, but seeing it in real life was far greater than what I could ever expect. The ark is MASSIVE! It is 510 feet long, 85 feet wide, and 51 feet high. It has 3.3 million board feet of timber and is the biggest timber-frame structure in the world. 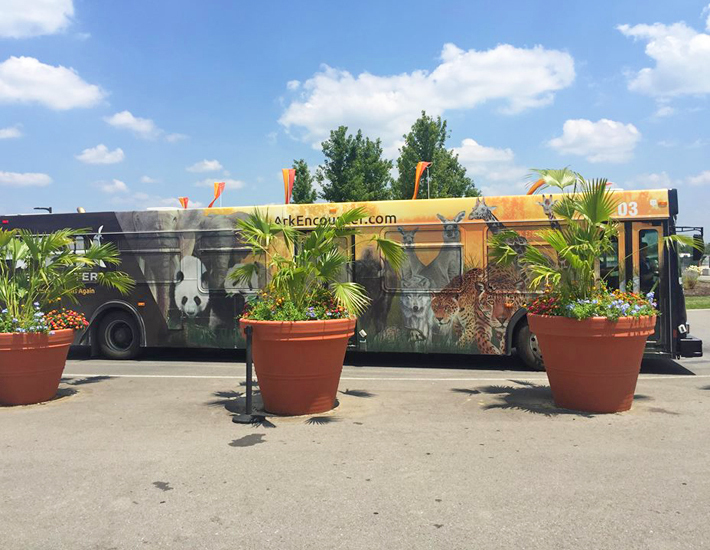 It has 3 full decks filled with things to see plus a ground level gift shop that also has an Amazing Fudge Shop! It even has two theaters inside. 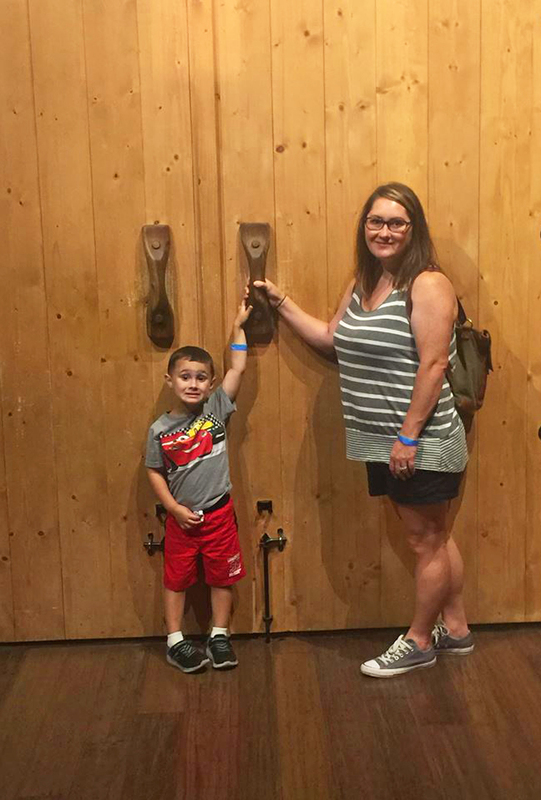 These doors represent the doors of the Ark that were shut so that no one could get in or out once the flood began. 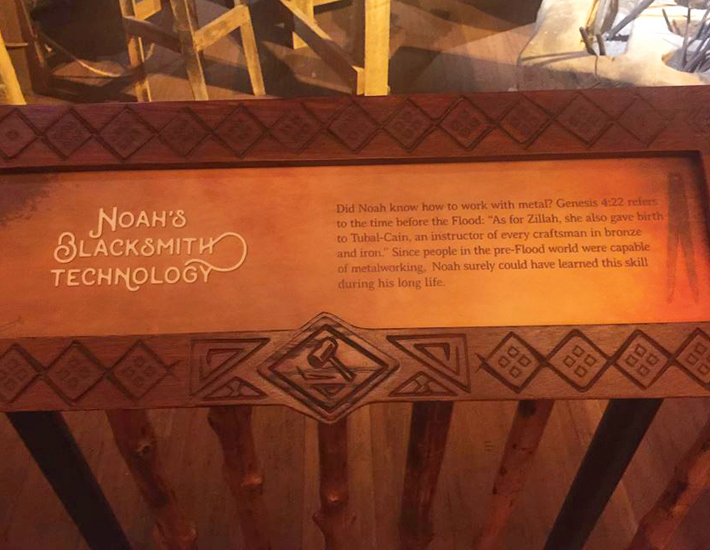 All throughout the Ark, you will find several historical monuments to read. They are so interesting! There are so many, that I simply didn't have enough time to read them all. I took several pictures of the monuments so that I could go back and read them once I got home. 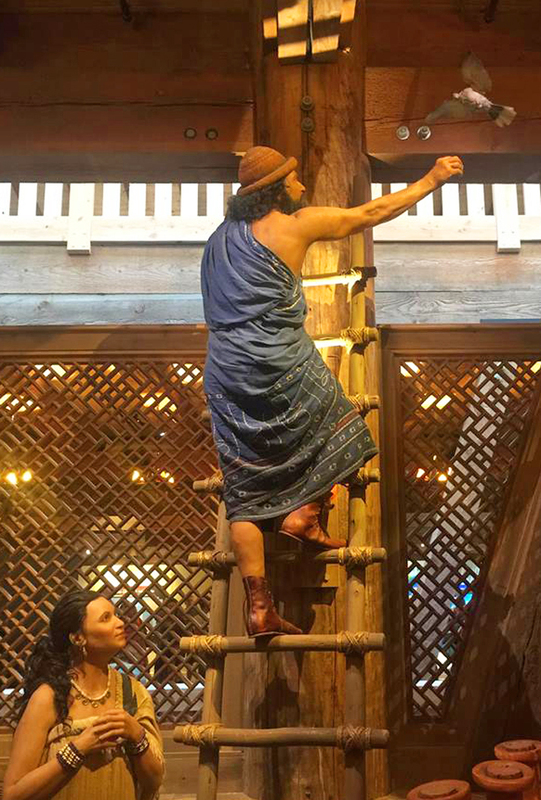 Some of the readings include how the ark was built, what life was like before the flood, after the flood, some talked about the Tower of Babel, The Ice Age, God's plan of Salvation and much more. 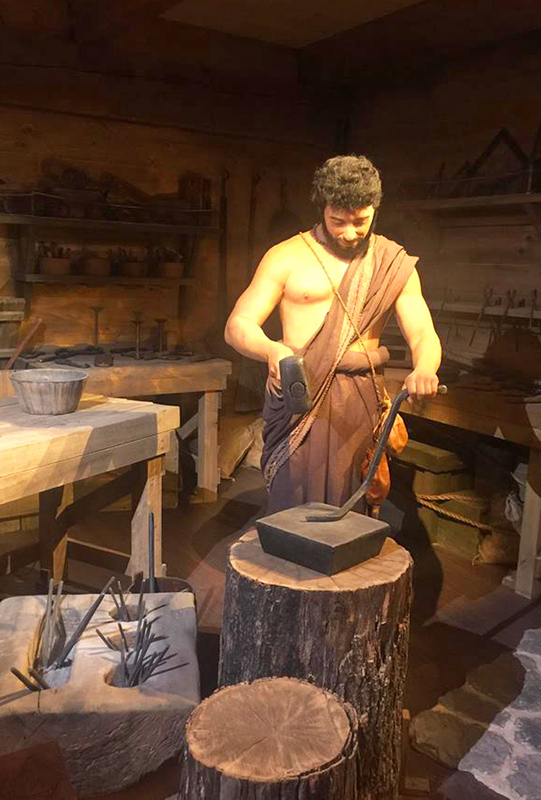 There were several wax figures. I really liked this one of Noah and his family in prayer. 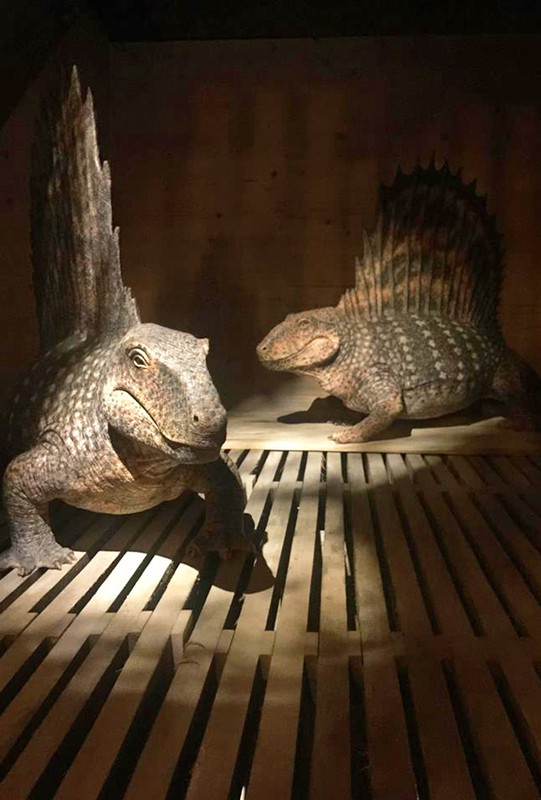 There were also several extinct animal replicas that represented the types of Animals that Noah had on board back in the day. And of course, there were live animals to see on board as well. There are two of each kind just like the bible states. 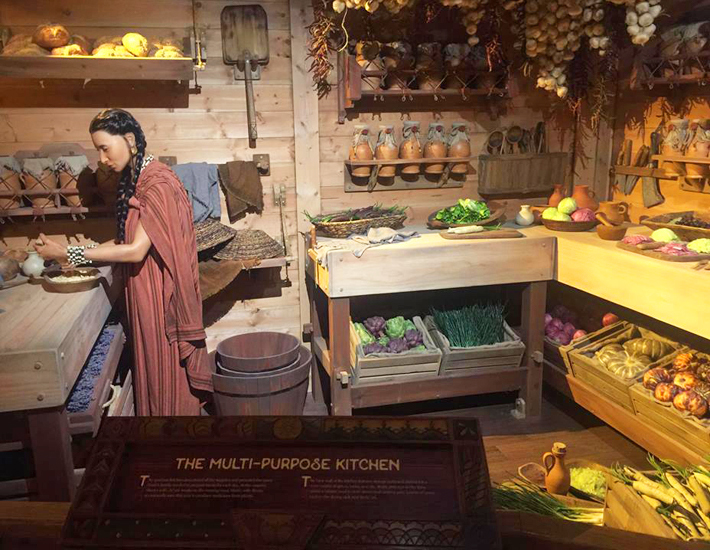 Some parts of the ark showed how they stored food, cooked it and met together to eat. 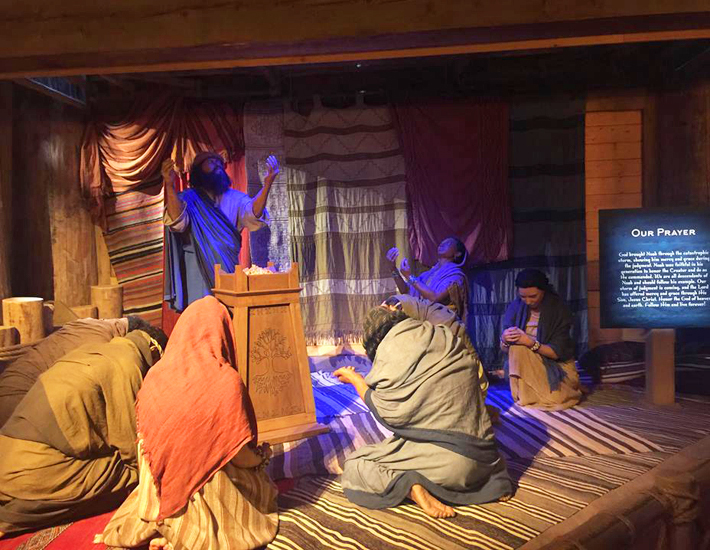 The ark also showed what their living quarters were like. 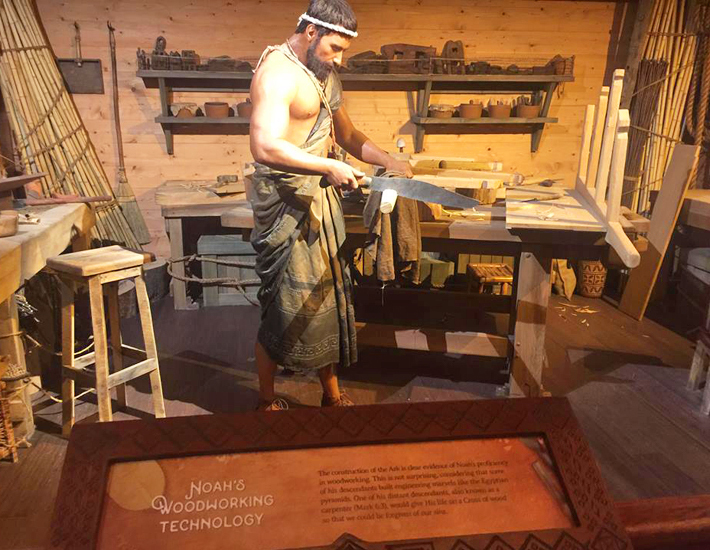 Other parts of the Ark showcased what the woodworking and blacksmith Technology might be like. It was all just so neat to see. 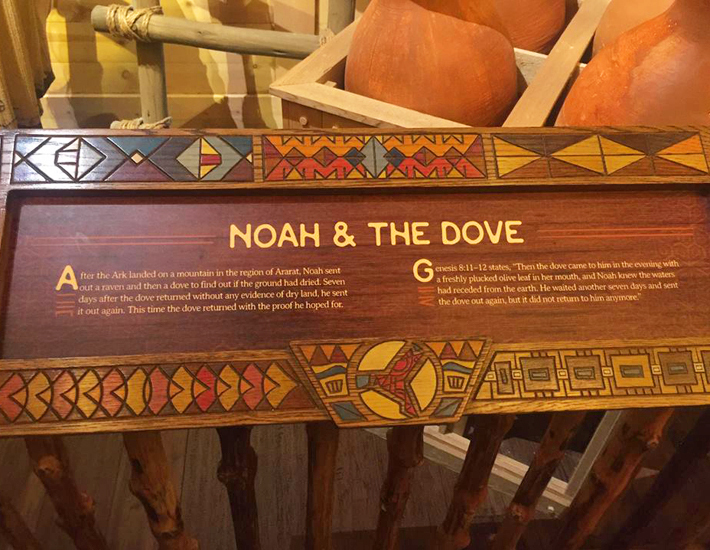 I love how they represented how Noah would send the dove out to find dry land and how it had on Olive Leaf in it's mouth to represent that the flood was finally over. The Ark also has Ararat Ridge Zoo outside of it, there you can visit animals such as Kangaroos, Yaks, and Ostriches. They also have a petting zoo. 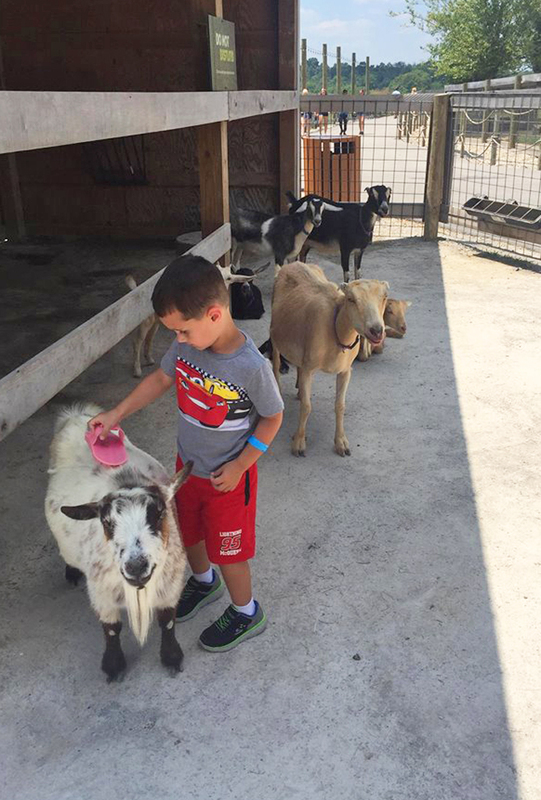 Raylan absolutely loved petting and brushing the goats. They also offer Camel and Donkey rides. 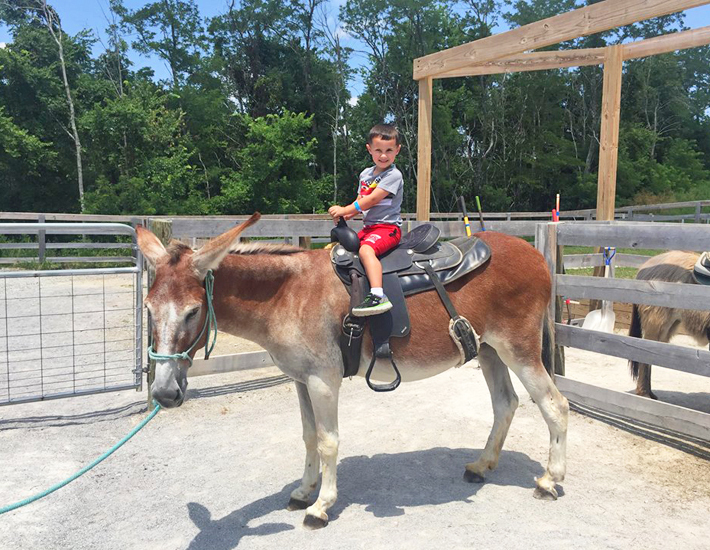 Raylan chose to ride the Donkey and as you can see, he had the best time. 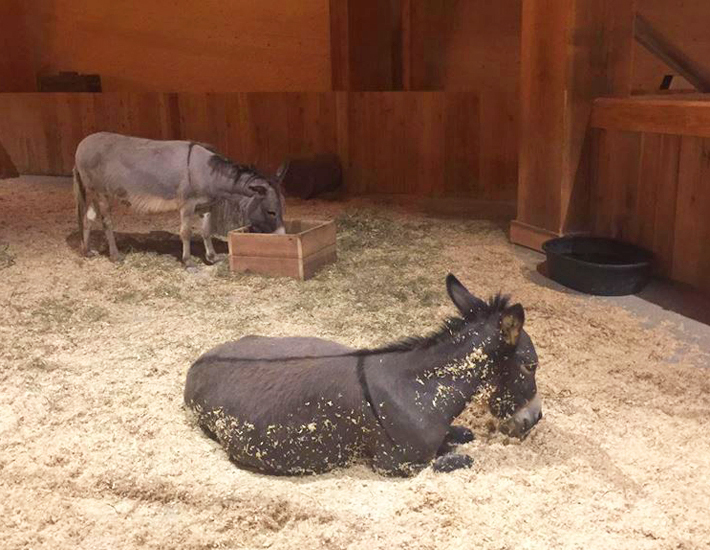 Inside the ark are snack stations and the outside has several places set up to eat such as BBQ, Pizza, Ice Cream and Kettle Corn. 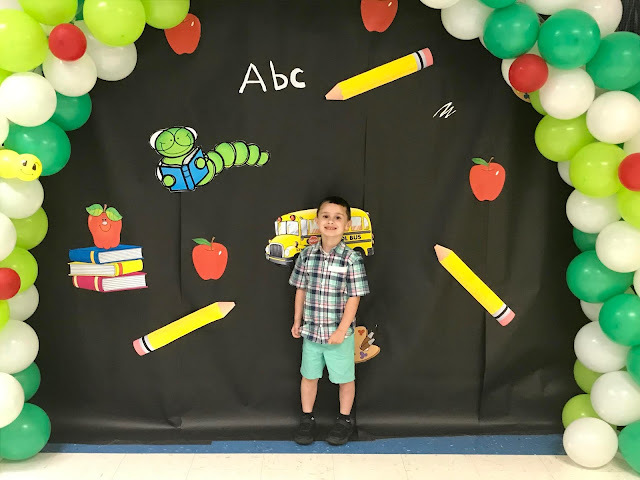 There are stations for refreshments such as coffee, lemonade and snow cones. There is also Emzara's Kitchen that you can dine at which has a buffet and specialty foods to enjoy. There is a Village Market to shop at and there is also Screaming Eagle Zip Lines and Aerial Adventures. 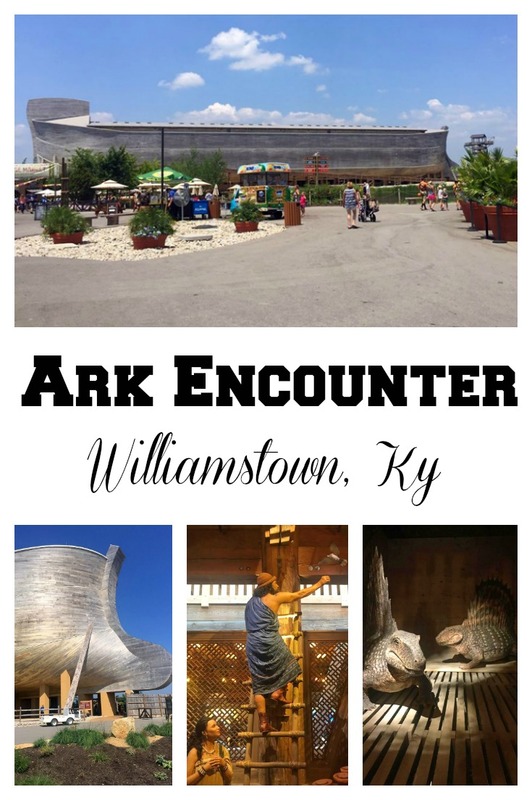 The Ark offers so much to see and do! 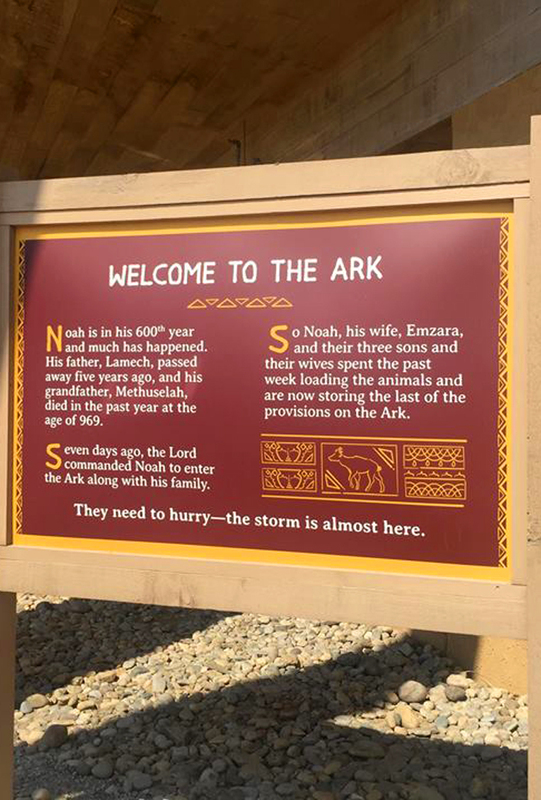 So in case you are still debating on visiting the Ark, you simply must go! Plan for a full day of sightseeing because it takes a while to tour everything. You will learn so much more about God than you ever thought possible while having an Amazing Time. My little family had the best time and are so thankful we were blessed with the opportunity to go. We would love to go back again in the near future. 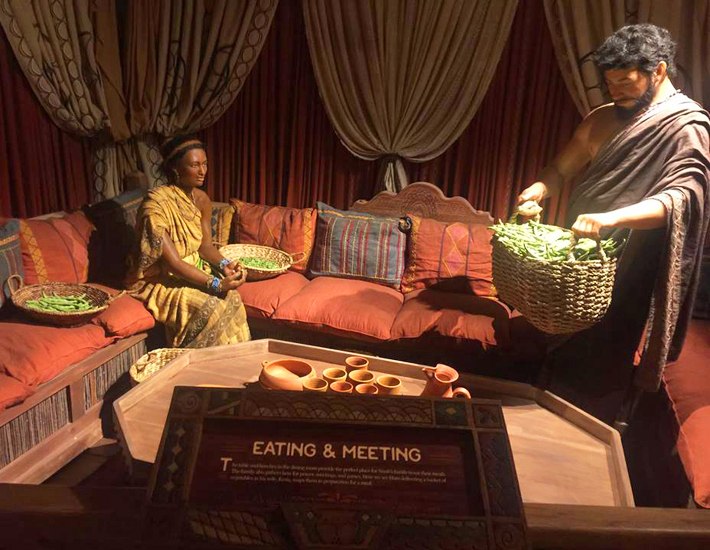 The Ark Encounter is such an unforgettable experience! 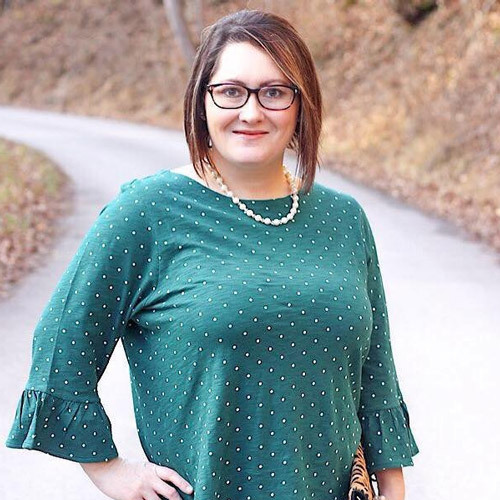 I promise you will love it!